The thing about Kidzania is, it's expensive! Everyone attests to that. But there's great inspiration, fun and much learning opportunities in there. KidZania is a children's city with everything built to their size like in the real world. They study, contribute and earn in a functioning economy. Working along the concept of role-playing, the kids get to try out many different careers within. There are many occupations they can get their hands on, for the close to real experience. They can work as a flight attendant, pilot, optician, professional model, chef, performer, police, fireman etc. Last month, we finally found an auspicious day to visit. A weekday when Jazz didn't have to do school. It was also my first time bringing three Js out on an expedition. Just me and them. A milestone unlocked! Mad it may be, I've to say Jazz and Jare enjoyed themselves tremendously. It was a regular weekday we visited, and was not overly crowded. Though we had ample time on hand, we didn't accomplish as many stations as expected. Since school was out for Jazz, we made the trip down with her classmates and their parents. Parents and kids often have different interests and opinions, it will be really tough to play and move in a large group. Ideally, moving in a 2 to 4 kid group will be an easier gang. Moreover, there is a limit to the number of kids each play session can take in. I know, it's so expensive that we cannot let them decide to idle on time or get on the unexciting stuff. I witnessed many parents hard coaxing their kids to try what it seems exciting to the adults than to the kids' interest. Most times, our kids would actually choose what they like to play to match that of their character. I confess I am a victim of such when Jare wasn't adventurous and open to most plays. I had to follow his desires more than that of mine. Highlighting an expectation here. One thing Jare had really love to get on, was riding a car at the Automotive. But that required not only getting a license as a trainee driver and an eyesight test, it also required a minimum height of 1.2m. Which he didn't make the mark. If possible and affordable, get both Dad and Mum to chaperon the kids separately. It will help greatly if the kids are of different ages and gender. Boys and girls play differently and different stations require some skills at certain age requirement. What the older sibling can do, may not be what the younger sibling can do. That's when we do need to go our separate ways to maximize our money play time. And of course, if your kids are highly independent, you may sip coffee away at the parents' lounge. Which is out of bounds for kids. The play stations are parents forbidden, but open to their official photographers. Some are not even with an open concept. Parents are not able to see what's going on in there. I went with a determined mind to not purchase any pictures (Decisions Non-working Mums make), as we know how pictures can be a rip off. So we did end our day without buying any pictures, and I refuse to even browse through their portfolio. Until.... a kind friend sent us these that she bought. Oww... I love!!! Now I regret not browsing through the pictures and I doubt they will still be around the next time we visit. I guess there's a package price to purchase 15 photos or maybe even unlimited for a price. I'll find out if we go again. I had a baby in tow. So Thankfully, there's a nursing and diaper changing room for Mums and babies. I love how thoughtful the place caters to children of varying ages. Which means it's play together for a family with siblings of very young age. This play zone is also conveniently sited next to the nursing room. Kids aged below 4 can explore the different rooms of the Kindergarten. There are also ongoing workshops where both parents and kids can have fun learning about potting plants and more! Also for kids aged below 4, the RightZKeepers Residence is stocked with toys and bouncy surfaces for kids in Singapore to have fun and discover their skills and abilities. It's good to explore the place with great dreams and ambitions. The kind of attitude we really need in there. But realistically, it is impossible to complete all establishments within a visit. Generally each establishment ticks off about 30 minutes of play, so there really isn't much we can cover within the regular opening hours. Prioritize. We are gonna disappoint hard if the day doesn't turn out to be as expected. But like many have forewarned, if your kids are interested in the Aviation Academy (pilot and cabin crew), that should be the first place you whack for a queue number once you enter. Then come back at the allocated time. Smartest play system among all. Just so we don't have to wait in line. There are also fix timings of the day when queue passes are given out. Schedule will be placed outside the academy for all to view. Js didn't want to spend kidzos (Kidzania's currency) doing lunch, they had preferred that I buy their lunch with my real money over at soup spoon. Hmm... smart kids at play. Anyway, I did it their way. Saved us time too. Hands on eateries for kids include making burger at KFC, soup at soup spoon and pizza at Pizza Hut. For the adults, there's a Killiney and a restaurant within. Malay cuisine I think. Waiting and waiting. I'll be lying if I said you don't have to wait even on breezy days. You need to wait for earlier session to complete and clear before the next batch enters. Wait in queue, especially popular activities. So best way to play is really to visit early on off peak days. A friend reported that Sundays are quite okay too. Get insights to how traditional BBQ meat is prepared. Kids discovered the rich history behind this taste of tradition which is enjoyed by many, and learnt how the meat is still cooked the traditional way using charcoal. No real food involved here. All food play is dummy. Kids were introduced to all of the high-tech equipment used in a live radio broadcast programme and learnt how it is used to produce a radio program! They got to run their very own radio segment while delivering chart-topping hits. A link of their audio file will be given for download and keepsake. I love how this is also a good training for their oral tests in school. Js love this! Safeguard the packages to make sure they get to the customers on time, and in its original state. They navigated through little streets in the city of KidZania to deliver the packages. If your kids aren't too good with maps and directions, this is a good time to teach and get involved. Because they will be out of the parents restricted zone to get on their jobs. Oh yay, we can play! Js attended a Modelling Class and learnt how to catwalk by showcasing their favourite pieces with show-stopping poses. I felt like Js were conned to get in there, by their beloved Mama. I saw lovely kids' clothes and a mini stage which I told them it's exciting to be dressing up and model for a day. They took on my idea after some coaxing. Low and behold, we didn't know there would be a Fashion show parade at the theatre with parents as guests! My bunch of shy kids were probably upset with me. But I'm proud that they pulled it off really well. I love the confidence and boldness they exuberated. To be a model, the kids will first need to pay some kidzos to be a trainee model. After which, they will earn it back (with slight profit) by staging their fashion as a runway model. In the theatre, parents were invited to get on stage for picture with the models. Stop.Drop.Roll! A fire was threatening to burn down the hotel and Js put on their uniforms to the rescue. Only bad on the day of visit was, they had to walk to the fire venue. Fire truck was under maintenance. Do call in to check if you think the vehicle is gonna break or mend your child's day. Learn about the work of a museum curator through taking care and displaying valuable artefacts from the unique Peranakan heritage. Js got out and related that they were Nonya and Baba wearing kebaya and batik. I'm happy that they learnt something after every play. Because we have a baby in the house. I shoved them in here for a good time of learning to be a baby expert. They learnt to take weight and height of newborns (dolls), cleaned and fed them. This area shares the same building as the hospital, with other related occupations within. Do be aware of what your kids want to queue for. It was a rare opportunity for Js to be inside a cockpit and have a taste of what it feels like to operate an aircraft. It's a pity that we didn't manage to score seats as cabin crews, where adults are welcome to role-play as passengers. Those were the establishments we completed. A fufilling day we had! We spent a full day in there, right from its opening hour to closing. I find that primary school going kids may achieve more in terms of learning and fun, as compared to a preschooler with some restricted activities and sometimes understanding ability. Going as a family of 2 adults and 2 kids is really costly, and soon, we will have to pay for 3 kids! It's damaging to the pocket. But I've to say, it really is a place to learn through play. And kids learn better when they are happy. Parents get to discover a different side of our kids, which we may not see in their usual play. The interests and talents of our little ones as they make their career choices. Even if it means choosing to work as a window cleaner, we will be happy. Only in Kidzania. There really is so much to share about Kidzania, where every corner is a discovery. Oh well, we will have to be back some day. Js didn't use up their kidzos at the Department store! A day of earnings may not give them a good buy in there. Saving up is a good trait, but in this case, it means you will have to visit Kidzania again. Have a go if your kids have not experience the fun of it! Disclaimer: We were given a pair of adult and child ticket for the purpose of this review. All opinions and photos are solely ours. Sing to the tune of Twinkle Twinkle Little Star with Little Star. A puppet show by itheatre that brings little audience through an adventure from space to earth and even under the sea, to find little star's place in the universe. Little star is lost and needs to find her way back home. A show cheerfully put up with fun peekaboo plays, colourful visuals and glow in the dark puppets are sure to delight your little preschoolers. Even easier for young toddlers with its minimal dialogue and wonderful tunes. The scene was introduced with Celeste and Cosmo as 2 bickering siblings (or friends). Celeste loves numbers and is often highly curious about the things around her, while Cosmo is one playful boy who likes to tease and disturb Celeste repeatedly. Which soon, the duo found each other boring to be around with. It was such a cute scene that sent many kids in stitches, and so hilarious that Js are mimicking it at home. Little star stumbled upon their home in search for hers, and then continued on a journey to search for home. It was an exciting ride that she brought the audience along with, through the sea and all the way to space. The educational aspect is not forgotten with snippets of fact introduced to the audience. It was taught that the sun is a star and that a starfish has 5 arms (while the other argues as legs). It identified star in different forms. The surprise element came with LED light balls thrown from the back, carried and played among the audience all the way to front. Needless to say, that sent all kids squealing with excitement. For a quick moment, all fun and eyes were mesmerized on those colourful light balls. Totally love this little surprise they weaved into the show. And so I asked Js, where exactly is Little Star's home? They said where the siblings are! That's because it came to bring peace and unity among the sibling pair. I just couldn't fault them. Overall, this is one great show that blends learning with the sense of aesthetic. It is highly suitable for preschoolers between 2 to 6 years old with its fun visuals and simple understanding. We know how curious kids of this age are about the things and world around them. Come on and catch little star! Disclaimer: Tickets were given to us for the purpose of this review. All photos and opinions are solely ours. Quite often, there are words or remarks the kids make that require my quick intervention. More of the habitual statements. Not that there isn't any freedom of speech, but there is always a better way to say something positively, with the right attitude. Here are some things I don't quite like hearing from them. Me: Would you like to fix a puzzle? With no apparent reason, this does send me jumping a little. "What is cannot without even giving it a try?" Either they attempt it or we will all attempt it together. So don't tell me "I cannot." Instead, say "I'll try." A better level than previous, at least there's an attempt in here. Giving up is often a quick escape, and it should not be a convenient thought. Grit on and persevere is what we often remind each other on. Cultivating too much of a giving up mind can transform into an unwanted habit. So stop saying "I give up." Instead, say "Keep trying." A word that many use causally as part of a lifestyle isn't quite to my liking. It is a word too deep and strong, especially when used on humans. I feel the need to address an issue each time a word like this is used. There must be a hurt or anger somewhere that brought it forth. So kids, stop telling me you hate carrots, you hate your sibling or that you hate your Mum. You will need to sit through hours of counselling with me if that word surfaces. I understand that some things and people are simply annoying. Instead, let's say "I don't like." Familiar? Oh yes, it happens almost any other day. I can never dissect a candy fairly and squarely. Someone will have to take that slightly smaller or bigger piece. I have never assured the kids a life that's like a bed of roses. It's never a fair World out there. Be thankful of what we have and that we can have a taste of that candy. Saying "It's not fair" shows much of an ungratefulness. Instead, lets say, "I'm Thankful." Oh yes, it's more than just embarrassing. Simply because the kids are often pronouncing it too fast and over. You have any idea how much it's sounding too much like *F**K? Too often misheard that I commanded ourselves to stop using the word. In case other parents overhear and start isolating my kids from theirs. Anyway, this should be a private affair, not to be announced publicly. Oh well, kids being kids. Either we use the Chinese version or we will go, "Who passed gas?" In fact, we should just keep calm and keep breathing. No need for words. So yeap, these are the taboos in our family. Any in your household too? Apart from the last (maybe irrelevant) point, let's try using positive phrases to replace their habitual negative statements. Floral garage had recently sent us a box of DIY Floral backdrop. A box of faux flowers mainly for wall decoration at parties or any special events. Since we didn't have any party up in line, we used the decorations for photography. We did up a floral wall for home photography. It was a most basic set of DIY that came with loose pieces of flowers and a washi tape. Specially included for us were poms poms and tassels for added colours. I handed Js the box, and instructed them to self create a wall of flowers. So yeap, there wasn't any parental intervention in the putting up. For our love of free play, everything was left to their desired creativity. It was fun putting everything together, with me following their instructions instead of mine. A great opportunity to role switch. Even if it didn't turn out to be something glamorous, I would make do with it. It was more exciting as a journey than the outcome. We worked with our outdoor wall as we wanted good natural light for photography. The washi tape given didn't look harsh for walls, so indoor walls should be fine. Washi tapes are not stickily strong, and you might end up picking fallen flowers quite often. If you would like to secure it for long, consider washi tapping over a strong tape. You may use the flowers to decorate the kids' room too. I'm quite certain of the therapeutic effect it exuberates. After getting the siblings' creativity to work, we had quite a pretty turn out. It was natural that we, the parents went snapping away. We were so serious that I even asked them to change their outfits to match our Garden look alike theme. It was some photography fun we had, with good keepsakes. Though I did think a white wall may bring out the flowers better. Like one great idea here. Notice how the washi tape look very much artistic in here than our DIY? I reckon it will look better if the flowers are put up close to each other than sparsely decorated. Oh well, the best thing about these flowers being artificial means its time withstanding, and we can always bring it out for another round of creative set up. 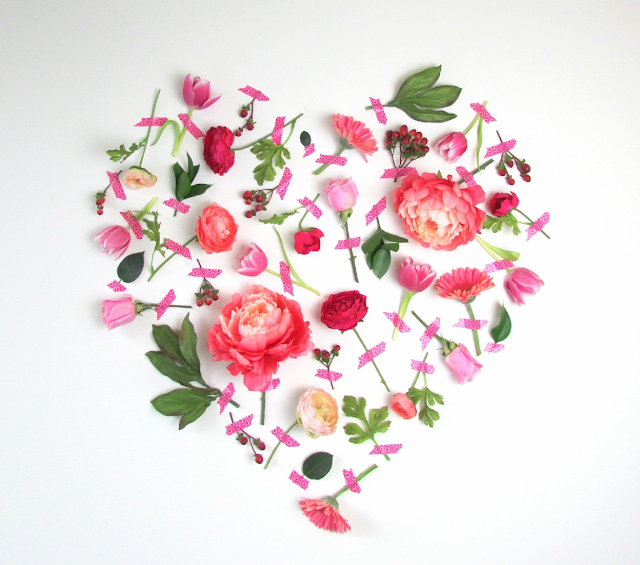 This boxful of DIY Floral Backdrop is also one great idea for a party or wedding photo booth. In fact, in any fun ways you can think of. The flowers are specially curated with a perfect blend of colours and sizes. Each box comes with about 25 to 30 stalks of flowers with a handful of greens to fill little spaces between. Every set is individually unique. Floral Garage offers the eye for beauty and novelty. Flowers, hampers, party supplies and fun gifts, they cover it all! I love their extensive range of products which makes it a great place to come on for any special occasion in mind. Disclaimer: We were given a box of DIY Floral Backdrop for the purspose of this review. All opinions and photos, unless otherwise credited are solely ours. Little Star sits in the sky. She sees the other stars, the Moon, the earth, the planets. What am I? Who am I? Where do I belong? When a comet passes by, she hitches a ride, and her adventure begins. Follow Little Star through space, down to earth and even under the sea, as she tries to find her place in the universe. Will you help Little Star find her way back home before the sun rises? A highly visual and interactive production, with wonderful tunes, but minimal dialogue, exploring the wonders of the universe, and the joy of re-discovering your home and family. 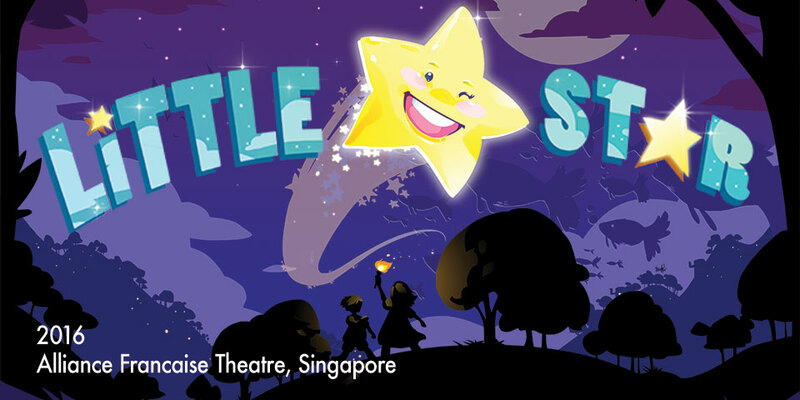 This production presented by itheatre will be best enjoyed by preschoolers between the ages of 2 to 6. 3. Tag 3 friends on this Facebook post, whom you think will be keen on this giveaway. 2. Tag 3 friends in the comment section of this post, whom you think will be keen in this giveaway. Yes, you may try your luck with both handlers. Do tag different friends. Best of luck! Giveaway closes on 19 Aug 2016. Serene Y, Patrick P and @missingsmiles! You turned 100 days old last week. Like any women whose time seemed to have accelerated after having kids, I questioned, "where did time go?" Watching you grow is a bitter sweet affair. It's wonderful watching how you've progressed with each milestone, but knowing you are likely our last baby, we dearly miss every yesterday as each new day unfolds. We treasure the precious baby moments with you. It's true that in a party of 3 siblings, we have divided attention. It's tough to find an equal standing and sometimes the sacrifice may not be equal too. But love is not divided, instead it is multiplied. Every one of you get your unique moments, and you know how special you get that 1-1 time with me in the morning. I'm thankful that you've been really accommodating most days when I had to leave you to tarry longer in your cries, because I was occupied with chores or with your siblings. But everyone knows, baby has got the priority. So yes, your cries did send me on scrambling feet and your older siblings gave me up to you instantly. We know baby is king. Many have said it gets more flexible and lenient when it comes to the subsequent children. There is some element of truth, and we do get less paranoid over the things that would have freaked us out when baby caring for big sister. Parenting got wiser and we fell back on the most basic in many circumstances. Be assured, you are always in safe and loving hands. Know what, as much as we are enjoying babyhood, we are also highly anticipating your growth, how soon are you gonna start crawling, walking, talking and the many milestones ahead. We are so curious about your development, your personality and whose looks are you gradually taking more of. There's an inner part of us that we can't wait to see you grow. You arrived and striped your big brother's title of the only son. But I assure you, he's more than happy to have another playmate and sibling for life! You are wonderfully blessed with a big brother who's always jovial and light-hearted, a big sister who's wise and kind-hearted. They adore you tremendously! Whatever the journey ahead, stay healthy and grow steadily! Thank you for completing us and we love you! ps: your frequent fart is killing me softly everyday. But I will be strong!